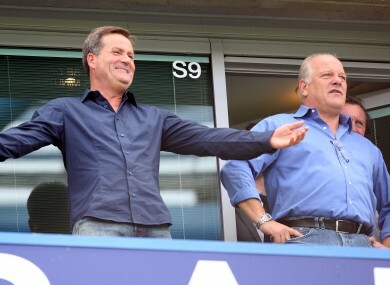 Sky Sports football host Richard Keys and pundit Andy Gray: an audio file appears to record them making sexist comments about a female linesman at a match yesterday. TWO WELL-KNOWN faces from Sky Sports’ football coverage have come under fire after a British newspaper obtained a sound recording of two of them making sexist remarks about a female linesman at a Premier League match yesterday. The Mail on Sunday has published the audio file, which it says it was offered through an anonymous source, which appears to record host Richard Keys and pundit Andy Gray discussing how Sian Massey, who was a referee’s assistant at yesterday’s game between Wolves and Liverpool, was incapable of doing her job because she was female. “Somebody better get down there and explain offside to her,” a man – whose voice sounds like that of Keys – is heard to say. Brady’s column said she had experienced “sexism as its rankest, lies about my personal life and a level of calculated mischief,” over suggestions she had encouraged the club’s players to “rise up” against under-fire coach Avram Grant. Asserting that the two voices are those of Gray and Keys, the Mail said Brady told it the tape “sums up everything I said in my column”. Keys told the paper that he didn’t have any recollection of the conversation, while Gray was uncontactable. During the game Massey angered home fans by allowing Liverpool’s first goal when Raul Meireles appeared offside; replays later showed she had made the correct decision. Email “Sky football pundits in hot water over ‘sexist chat'”. Feedback on “Sky football pundits in hot water over ‘sexist chat'”.